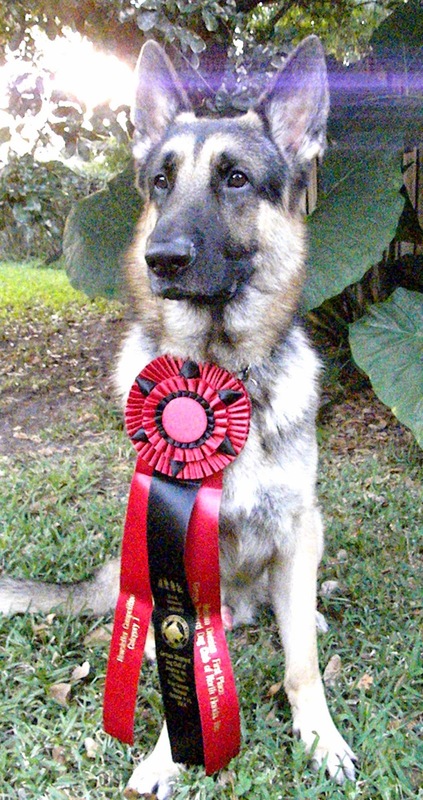 Jedi models the ribbon. Obviously he's not as excited as I am. 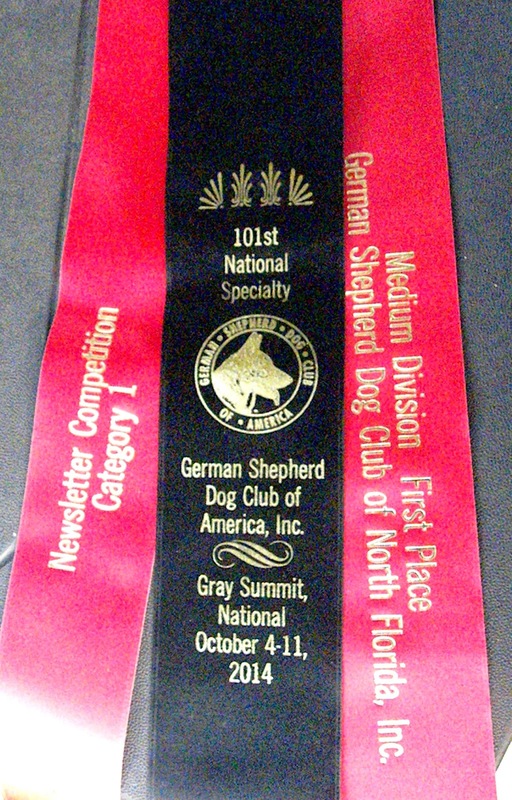 Our newsletter won first place in the German Shepherd Dog Club of America's newsletter competition -- for the second year in a row!